My husband has always been my best food customer when it comes to leftovers from a blog post, which I have certainly appreciated considering how much food it takes to create one food blog post there would be so much food wasted if it wasn't for him. 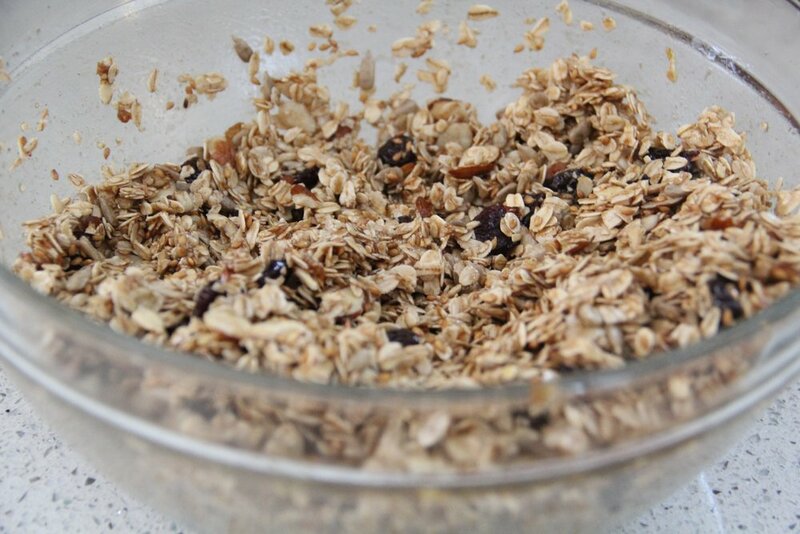 Recently my husband has been on a granola kick courtesy of this recent recipe. 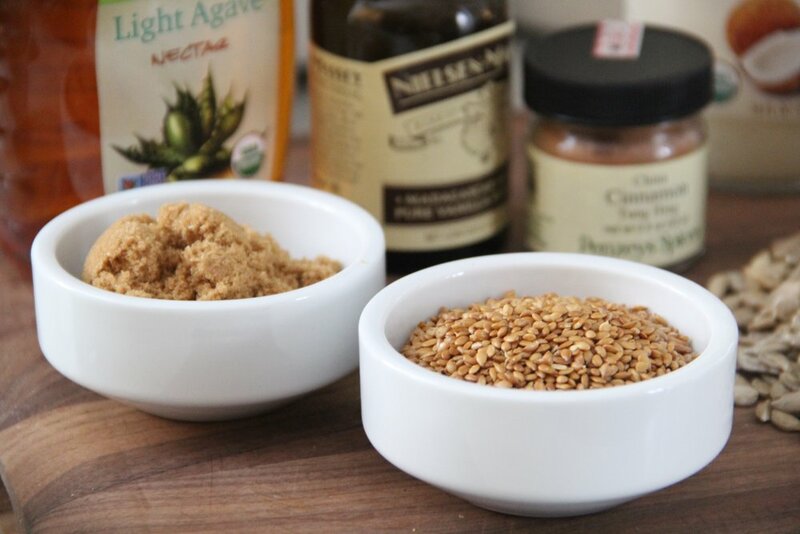 I love that he is into having granola in mornings now, but of course his recent interest in granola has sparked an interest for me as well in learning how to create a healthy and affordable version. 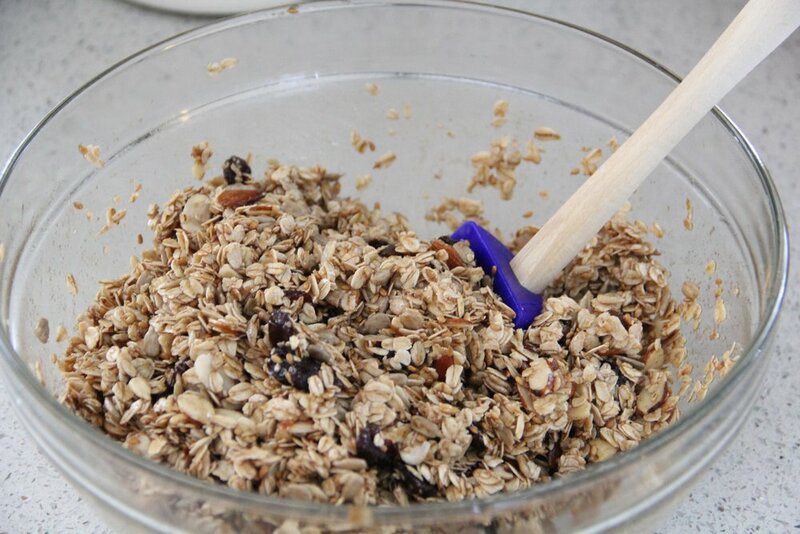 Combine all ingredients in a large bowl using clean hands (my preference) or a spatula to mix ingredients until combined. Remove from oven and allow to cool. *Note- Granola will still appear damp when first out of the oven. As it cools it will harden.